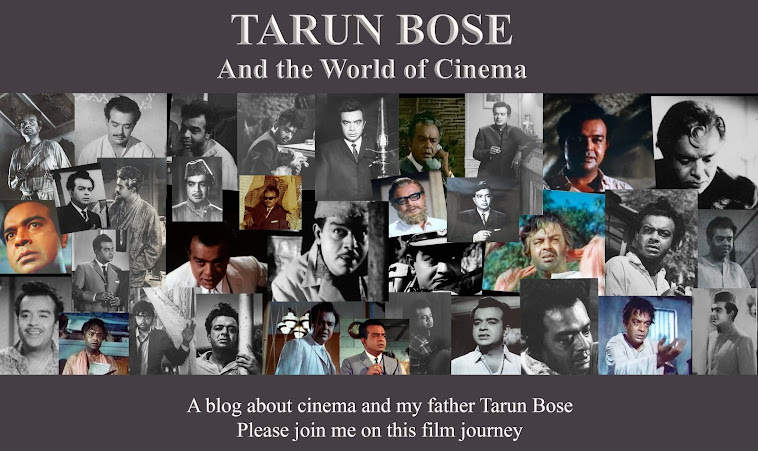 Tarun Bose and the World of Cinema: Forgotten Melodies (Part 2) - Sweet Melodies From My Father's Films. Forgotten Melodies (Part 2) - Sweet Melodies From My Father's Films. When I did my previous post I was more or less sure about the songs that I would select for this post. I decided then that my next post would be a selection of songs that have struck a chord in my heart and songs that I have just liked because of the sweet melody and of course the lyrics. I, however, did not realize what a tough task it was going to be. That was the golden era of film music, I just could not decide which song to select and which one to leave out. For this post I finally decided to select the songs that I like for their melody and I decided to stick to my father’s black and white films. So here is my list of songs. Music Director- Hemant Kumar, Lyrics- Kaifi Azmi. 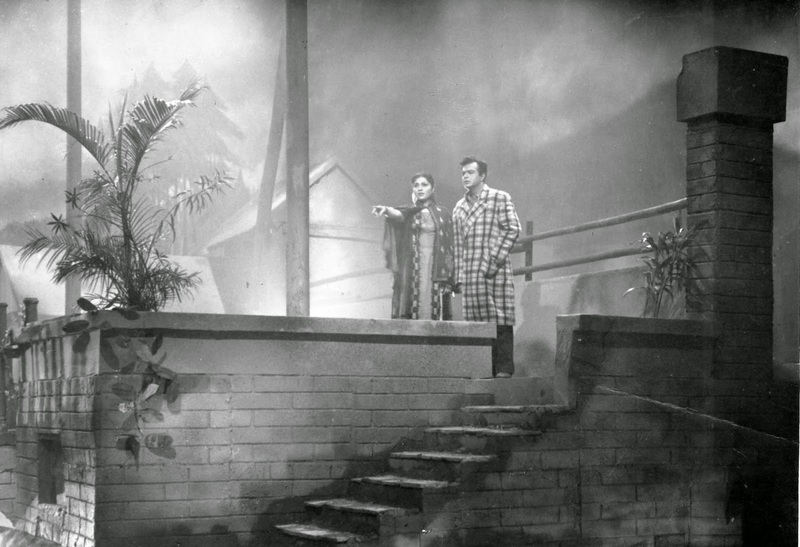 Faraar, produced by music director Hemant Kumar, starred Bengal’s famous actor Anil Chatterjee and Shabnam. The film was a flop but the film's songs were really nice, these two songs are my childhood favourites, it is a pity that they are forgotten now. All the songs from Madhumati are gems and this one is the one that I really like because of the lovely rhythm. Music Director- S.D.Burman, Lyrics- Shailendra. Of all the songs from Bandini jogi jab se tu aaya tops my list of favourites. I also love the song's picturisation. Benazir was also one those flop films with some nice songs that went on to be hits. I have selected two songs from the film. Music Director- Chitragupt, Lyrics- Majrooh Sultanpuri. My father’s role in Aakash Deep was nothing to shout about, as far as I know he did the film as a goodwill gesture. Although the film was not a great film (personally I found it quite boring back in my childhood), it had some wonderful songs and dil ka diya is my favourite. I like Lata Mangeshkar’s soft and sweet rendition. I doubt there is any Indian who does not like Lata Mangeshkar and I am no exception, but there are two other female singers whom I like – they are Geeta Dutt and Suraiya. I would have liked to include a few songs by these two singers, but then that would make this a rather long list, so I decided to settle for just one song of Suraiya’s from Shama. All the songs composed by Chitragupt are excellent, as I cannot list all of them I have chosen the two I like the most. hai re tere chanchal nainawa. Music Director- Salil Chowdhury, Lyrics- Shailendra. As the list grew longer and longer I began to debate, should I include songs from Chand Aur Suraj or not and I realized I just could not ignore my childhood favourites, so agonizing a bit I decided to choose teri yaad na dil se over bagh mein kali khilee. teri yaad na dil se ja sake. Once again one of those flop films with excellent songs rendered by Mohammed Rafi, Lata and Manna Dey. I chose tere khayaalon mein over the others because this was the song I loved to hear back in my childhood. Music Director Hemant Kumar, Lyrics Kaifi Azmi. It is pretty obvious to everyone I guess that I have chosen soft numbers, so it should not surprise anyone that I have chosen kuch dilne kaha kuch bhi nahin over the obvious dheere dheere machal, not that I do not like the latter, of course I do, but I really love this one. There are many films of my father's that were released in the early sixties when I was a toddler. I had heard about these films and also seen the stills at home but I almost had little or no knowledge of either the story or the songs of these films. Now I have found these films on You Tube and I found the songs are quite pleasing to the ear. One such film is Ma Beta, here are the two songs which are not what I would call my favourites as I wasn’t aware of their existence, but they deserve a mention. Composed by Hemant Kumar I find I quite enjoy them now and they could easily fit into my list of favourites. Music Director- Hemant Kumar, Lyrics- Prem Dhawan. Interestingly the other song from this film does not sound like a typical Hemant Kumar compositionn, it is reminiscent of Salil Chowdhury's tunes. My next post will be a list of those songs the lyrics of which have struck a chord in my heart. Nice lot of songs, Shilpi! The ones from Maa Beta were new to me, but they're nice nevertheless. And the others - most of them I'm familiar with, except the ones from Oonche Log - are lovely too. Besides the ones you've mentioned, I also really like 'Poochho na kaise maine rain bitaayi' from 'Meri Soorat Teri Aankhen' and 'Main akele yoon hi maze mein tha' from 'Akashdeep', and 'Rimjhim ke yeh pyaare-pyaare geet liye' from 'Usne Kaha Tha'. Back in my childhood I heard poocho na kaise so many times on the radio, that I craved to hear the other songs from the film. The other songs were never played besides, Manna Dey always sang this song in his live shows, so I decided to give it a miss. By the way, talking of songs from your father's films... coincidentally, I woke up yesterday morning with one running through my head: Mahalon ka raja mila, from Anokhi Raat. I like that one, but I think more than that, I like Oh re taal mile nadi ke jal se - good music, and good lyrics too. By the way the mahlon ka raja was my father. Yes, I do know that the mahalon ka raja was played by your father! Anokhi Raat was a film I liked a lot, and your father was, as always, superb - he was so believable as the lecherous, creepy wealthy man using someone's majboori for his own ends. The exact opposite of what he was in real life. And the exact opposite of what he played in Sujata! Somehow, that scene with the halwa always makes me think, "What a wonderful man, and what a good father!" Yes indeed, everybody loved him Madhu, always ready to help anybody and everybody. He does sound like a wonderful person - I would so much have loved to meet him! Yes you would have loved him, but I hope we meet each other some day. Me too! I would really like to be able to meet you someday, Shilpi. P.S. I don't know if I ever mentioned this to you, but my father is exactly 10 years younger than your father - he was born on Sept 14, 1938. Thar's a real coincidence Madhu. I hope we have the opportunity of meeting each other.